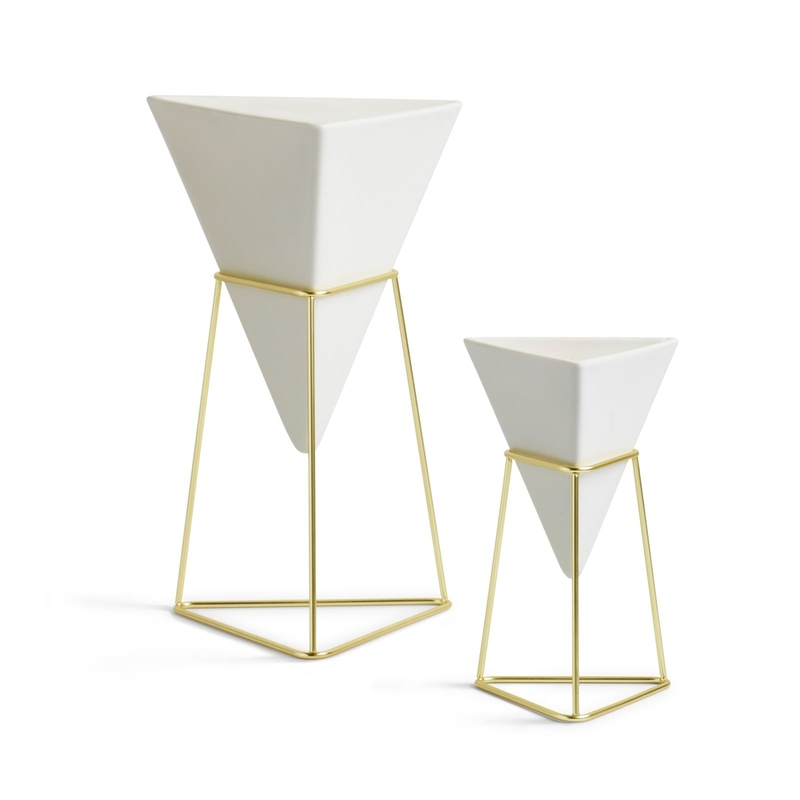 Umbra Trigg is a versatile vase that can be used a planter, vase, or pencil holder in a multitude of fascinating compositions. 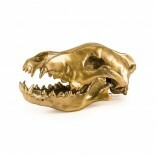 Comes as a set of 2. 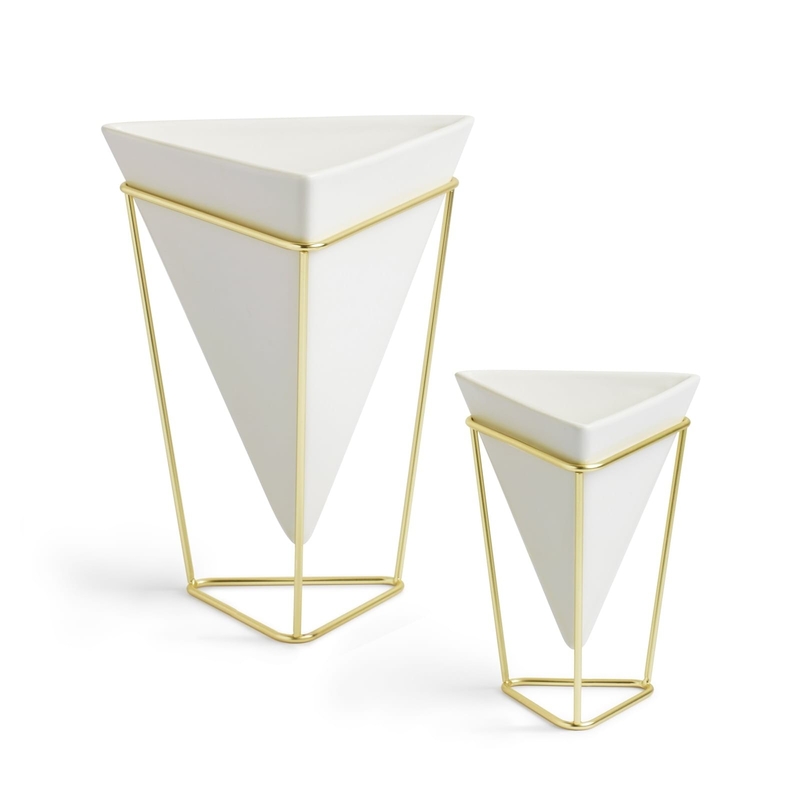 Designer Moe Takemura was inspired by geometric graphic trends and tried to bring the concept to a 3D object. 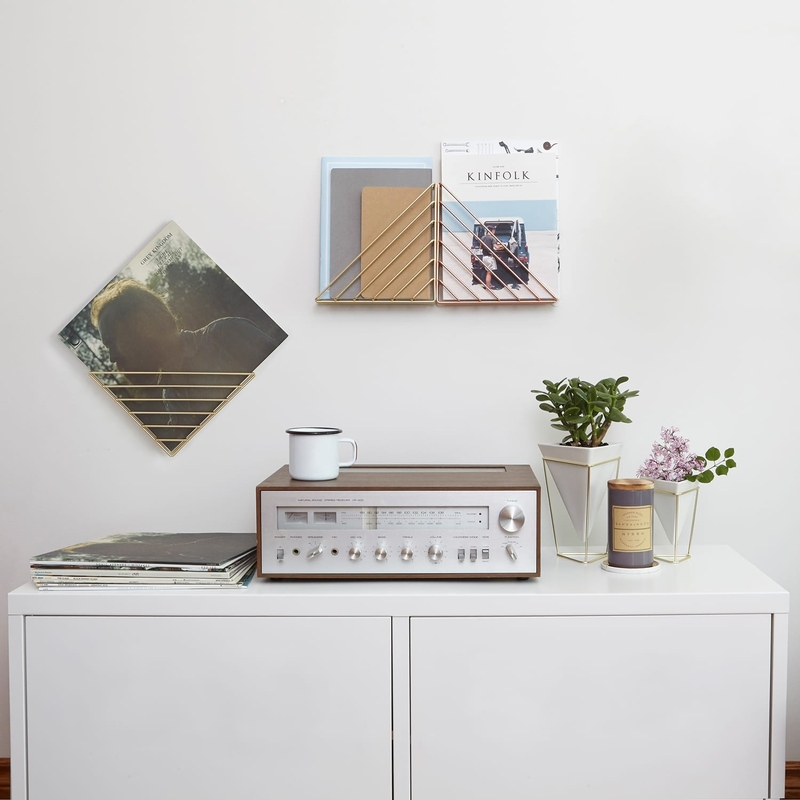 His intention was to design a multipurpose decorative product that customers can freely arrange depending on their needs. 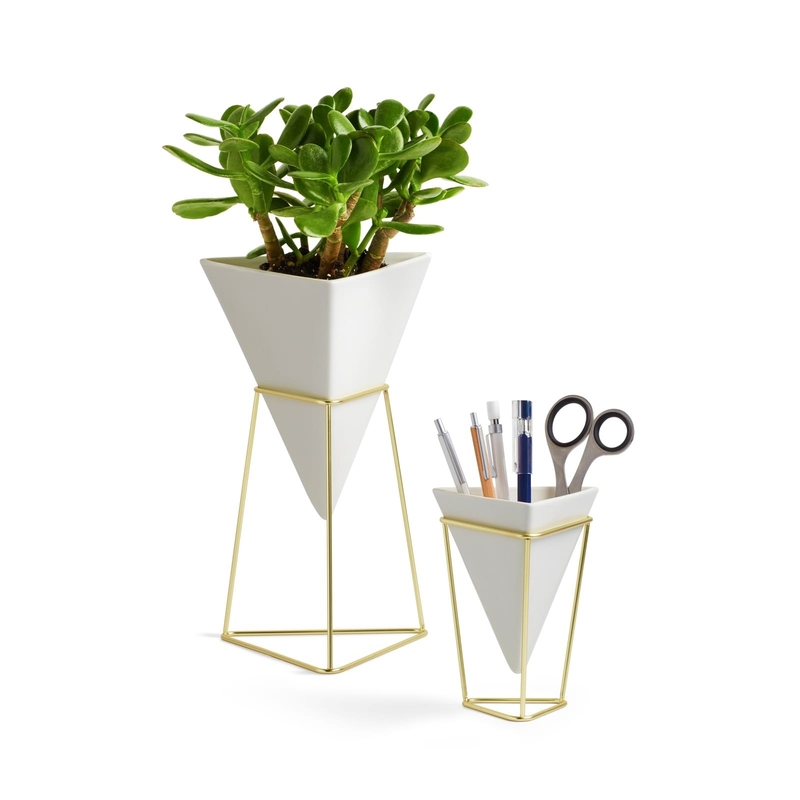 Add some gorgeous geometric charm to your desk with the Umbra Trigg Desk in white / brass color! 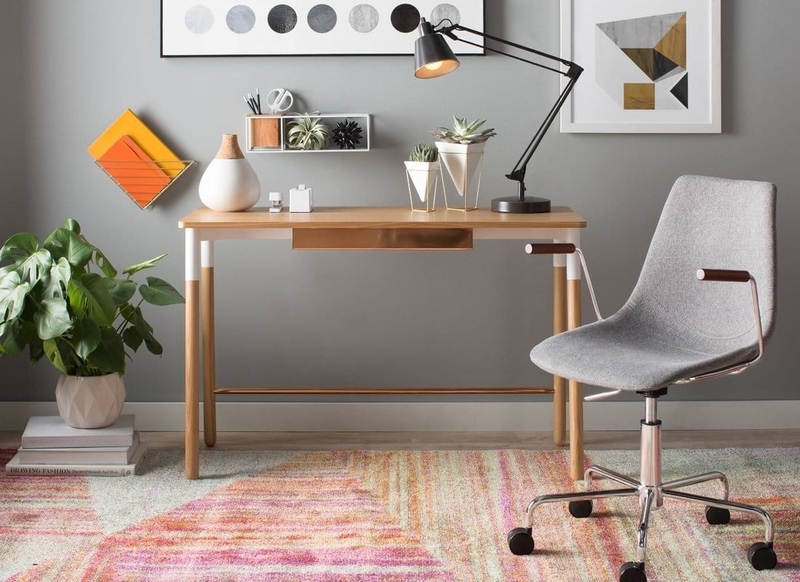 These stunning multi-purpose desk tidies are both aesthetically pleasing and practical. 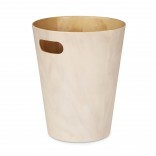 They can be used either as quirky plant pots or as storage for everyday accessories, or as pencil holders. 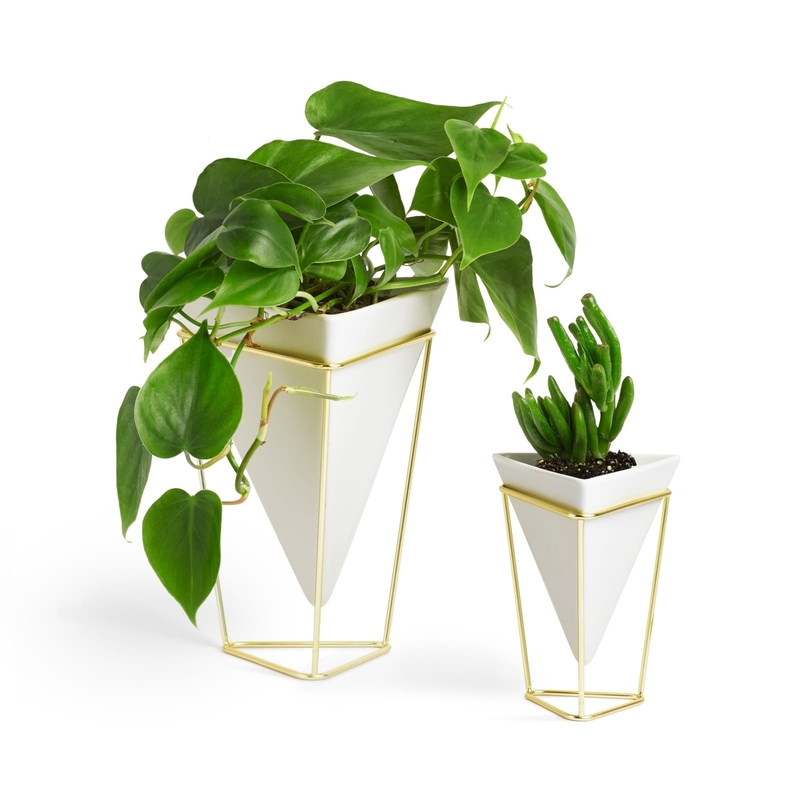 This sleek set comprises two triangular ceramic vessels, one slightly larger than the other, held within sleek brass-plated metal wire frames. 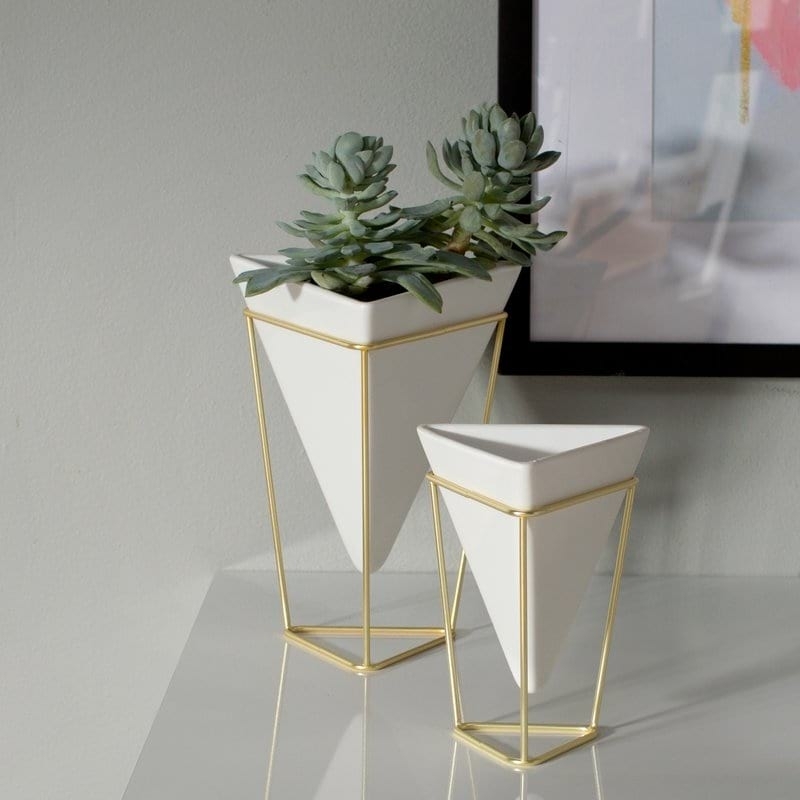 The vases are designed in a way which allows you to mix and match the way you display the vessels by flipping the frames upside down for a variety of possible arrangements. 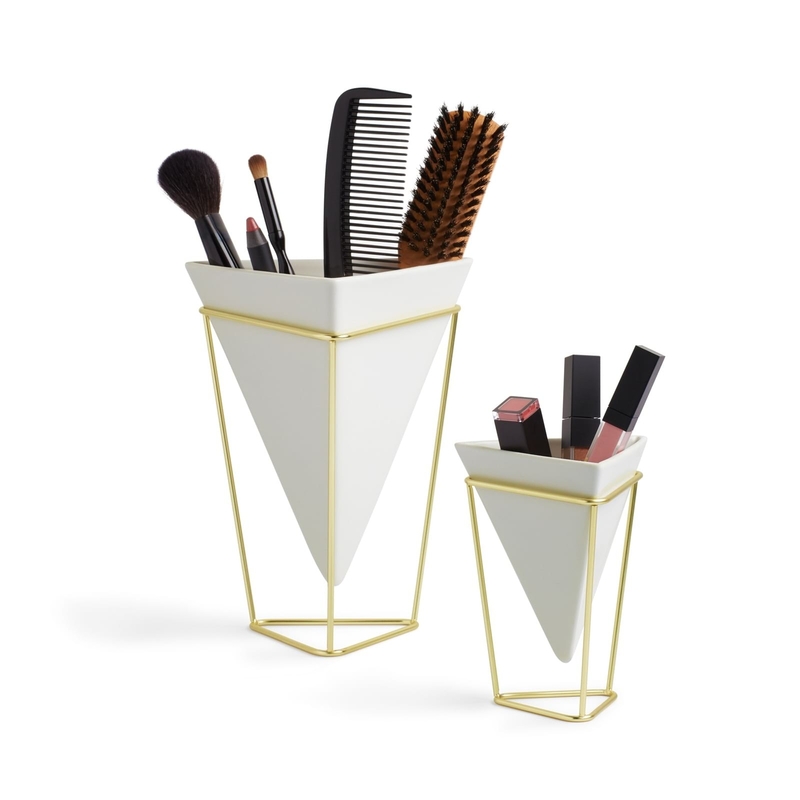 Half storage solution and half decoration, these chic contemporary vases blend three current trends - geometric patterns, brass metal and wire frame, to make them a stylish addition for the home or the office. Dimensions large vessel: 15.5cm x 14cm x 20.3cm. Dimensions small vessel: 11cm x 9.8cm x 14.3cm.